Paying off debt faster, oh how easy it sounds. But lets be realistic, what may sound easy, in reality is very hard, and requires a vast amount of discipline and grit. The real problem for many is that they have only a finite amount of money coming into their pockets each and every month. The first thing you should do, and really need to do is create a budget, and stick to it, cut out all the fluff and extra stuff. Such as, if you like to indulge in that fancy coffee on the way to work each morning, switch to home brew and a good travel thermos and take your coffee with you from home. Brewing costs far less than buying it on demand according to this recent CBS news report where the average daily cost is $3.25 totaling $16.25 per week. This totals $780 a year. Now, that is one way to save and reduce your budget, but what if you want to pay off your debt faster? Here are five ways that could help you do that. All of these are great ways to augment your regular income, and help you to pay your current debt down. Lets look at each more closely. Garage sales, yard sales and online market places are a great way to sell things that you have for cash. Selling things that you do not use or need anymore can really add up, and while you are in the process of reducing your clutter, you may find that a simpler and easier life is a happier and more productive life. But do not stop there, maybe your family or friends have things that they want to get rid of too, you can have a weekly sale and split the profits with them! Not bad for sitting there doing nothing, while people pay cash for your items. Some babysitters make up to $15.34 per hour according to ABCnews that is above minimum wage and can be a great side job, which should not conflict with your day job at all, and during this time, which will be mostly during the evenings and nights, the kids would be sleeping, so you could tie babysitting into the next idea, freelancing. Blogging and writing can be a great side job, and sometimes all you need is a laptop and an internet connection. When you blog on a subject that you are passionate about you can do something that you love and make money, now it is not an instant money machine, but over time as you gain a following and reputation you can add links and ads to your blog and generate revenue as your blog grows. You may be able to write gust blog posts for others and even get paid to do so, the possibilities are endless and that can help you pay off your debt faster. Focus groups will pay you for your opinion and time, how great is that, all you have to do is tell your opinion on whatever subject is given, and they pay you, and most of the time this can be done remotely on your computer as well. Some are live though, such as clinical studies or hands on activities, so search in your local area, and if you do not mind spending some extra time for some extra money you could make a couple of hundred dollars a month for a few hours work. Not bad. Now there are a lot of sketchy companies out there who offer these services, but if you stay with the reputable ones you could end up with some extra cash and actual goods or services, which will help you towards your end result of paying off your debt faster and trimming things out of your house budget, for example meals or other goods that you get for free. Hey, if you are already going shopping anyway, why not make some money while you are there. So, as you can see there are creative ways that you can pay off your debt faster and not have to quit your regular job. The real key is having more money. 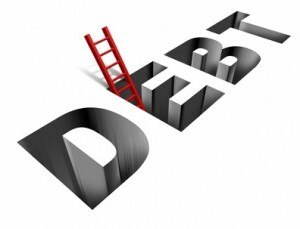 More money to pay down that debt faster, if you do not add income to your bottom line, you will continue to struggle and the only thing that you will succeed at is reducing your budget. You should be able to combine all or some of these ideas together, for example, while you have that yard sale, why not sit there and write articles for your blog, same thing while you babysit. You may be able to do focus group work, while you write your blog as well. Be creative and think outside the box, and you too can pay off your debt faster.